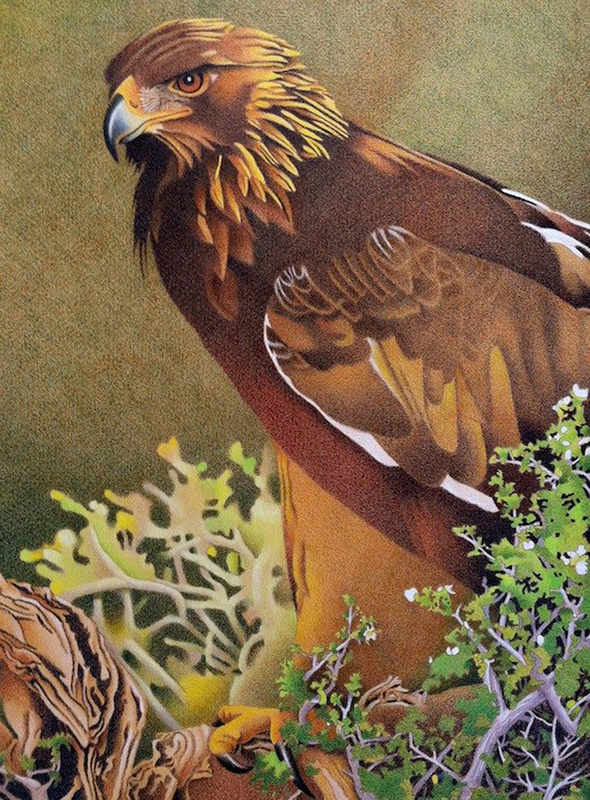 Perfectly integrated into its environment, the golden eagle is a highly evolved bird of prey. The regal dignitary is a versatile hunter armed with an array of deadly cutlery. This keen-eyed, king of the birds may be the most impressive monarch in the animal kingdom. The imperial eagle has been an everlasting symbol of strength and power. An icon of religious adoration, the golden eagle was revered in ancient Rome as the god Jupiter's personal messenger. Speeding across the heavens with astonishing speed and maneuverability, it was thought to have thunderbolts in its talons. A world away, Native Americans also worshiped the Thunderbird. They believed this sacred deity was a link between mortals and the Great Spirit. When falconry flourished in Europe, the esteemed eagle was flown by kings only. Gliding between cliffs from the Rocky Mountains to the Great Plains, the golden eagle is one of the most fierce predators on the planet. If it gets hungry, watch out because almost any species on earth is fair game. Our early ancestors may have been hunted by gigantic birds of prey. A swooping sneak-attack would have come from above. So, who can blame you for being innately afraid while in the shadow of a ravenous raptor. Those restless nights of tossing and turning are difficult, I know. Just be careful if you're searching for sleep by counting sheep because a massive, brown bird may soar into the subconscious and transform your sweet dreams into your worst nightmare.